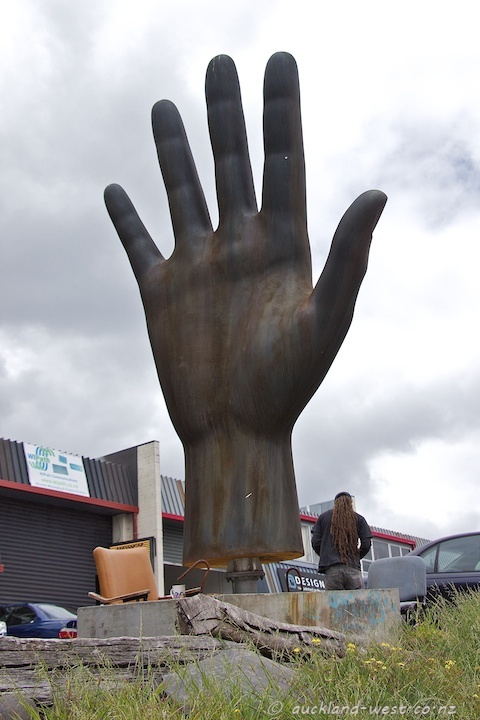 This hand is actually made of some kind of plastic, with a surface treatment imitating rust. Talk about a helping hand!! I\’m guessing that this oversized (read enormous!!) hand will make quite the visual impact! you can see it in the first shot even though it\’s probably not as clear as I could have got it. We’ve airvred at the end of the line and I have what I need!